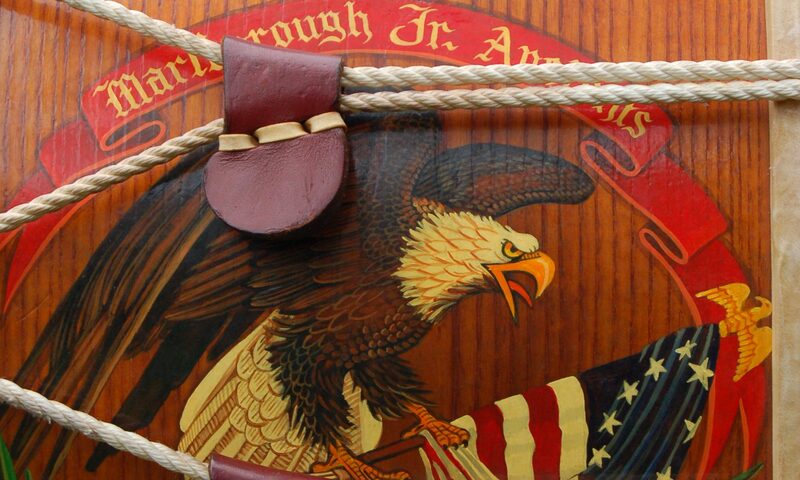 The Marlborough Jr. 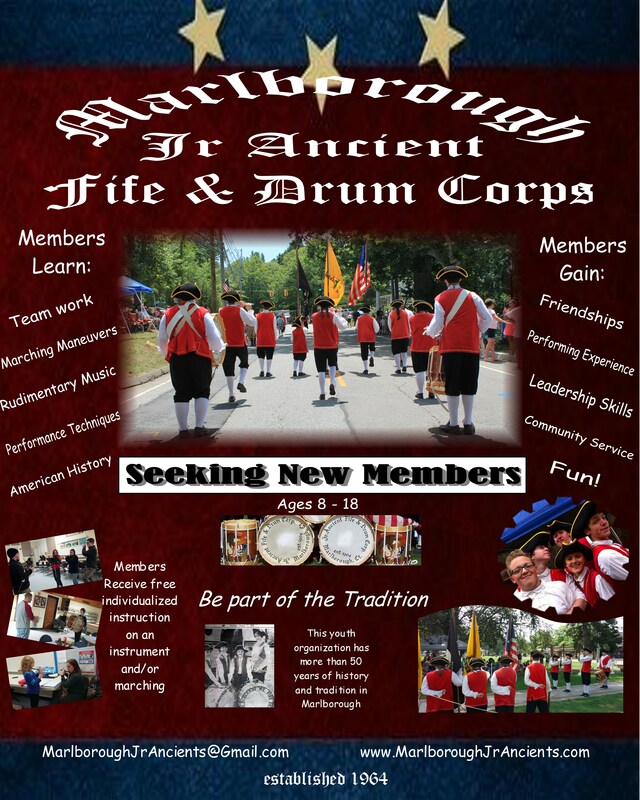 Ancient Fife & Drum Corps is now recruiting children between the ages of 8 and 18 to join the ranks. 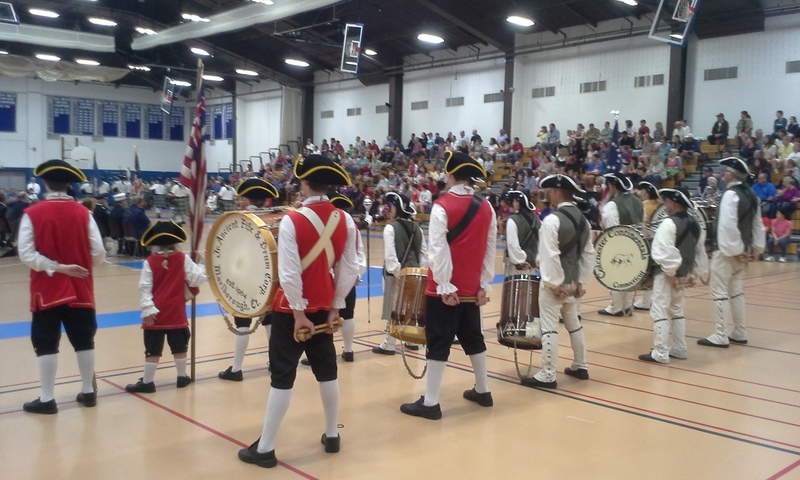 This is an opportunity for kids to meet new friends, travel interesting places, while working as a team to carry on the American traditions of fifing and drumming. 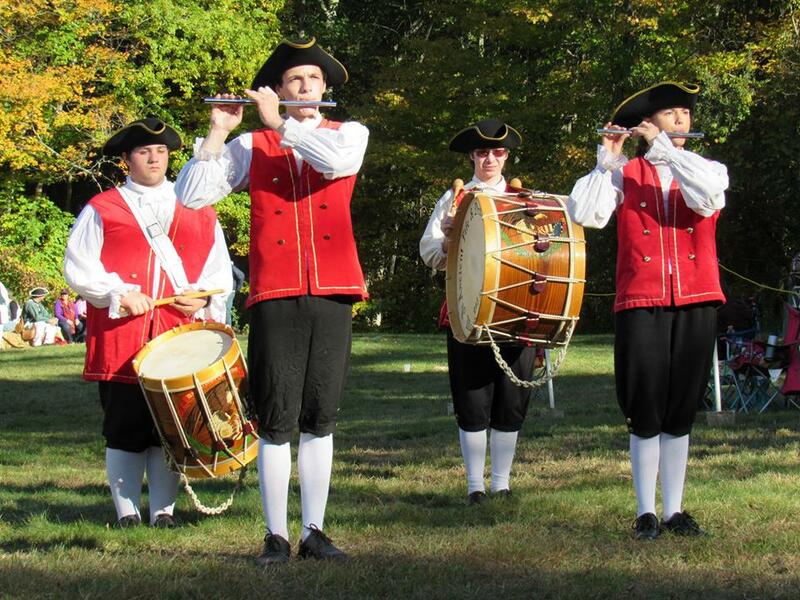 The Corps has been a source of music, marching, and living history for children in Marlborough and surrounding towns for more than 5 decades. 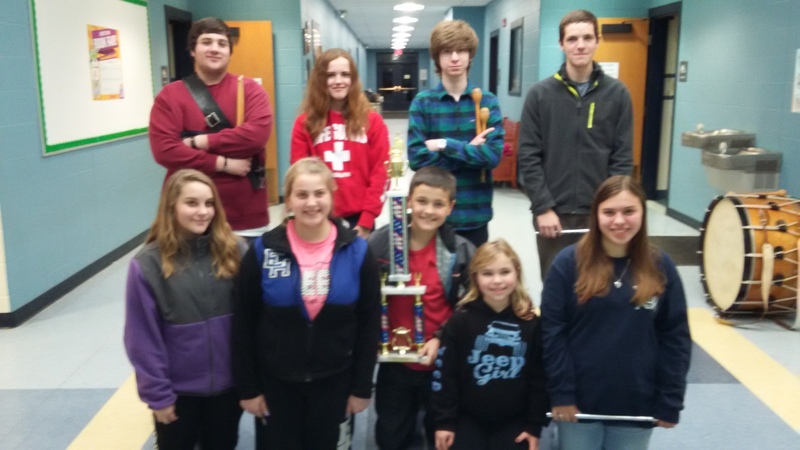 New members are sought to join in on the fun that hundreds of members have experienced over the years. 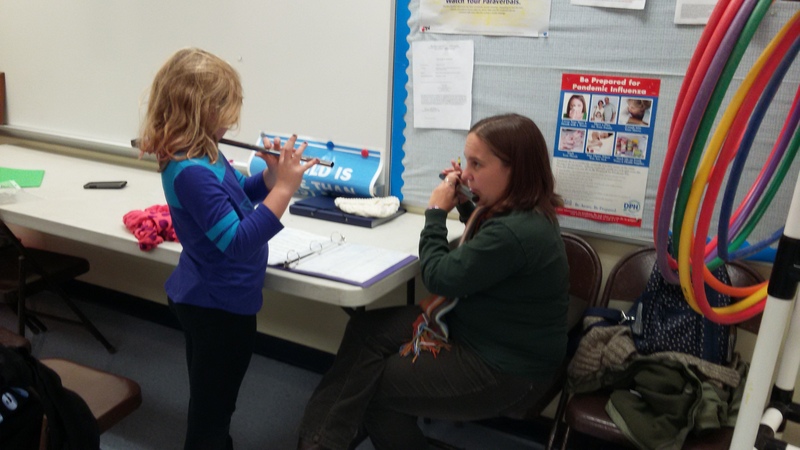 Members learn fifing or drumming, along with many other fun and valuable skills from our very capable instructors, free of charge. 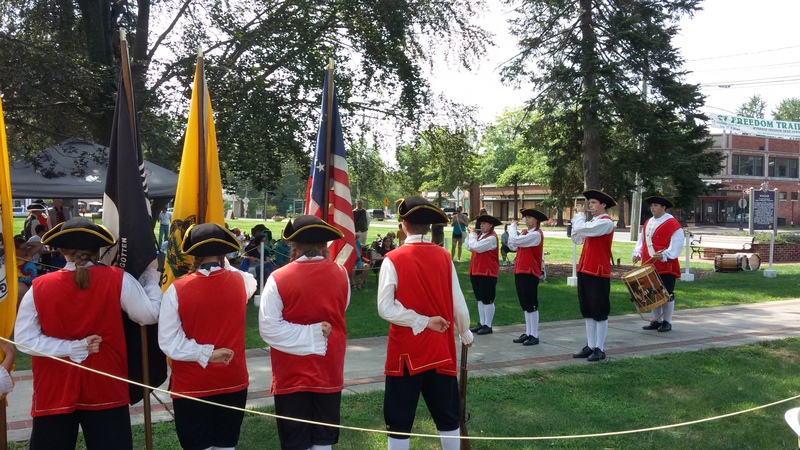 Members have opportunities to travel throughout Connecticut, New York and New England while the Corps performs at parades, musters and other events. 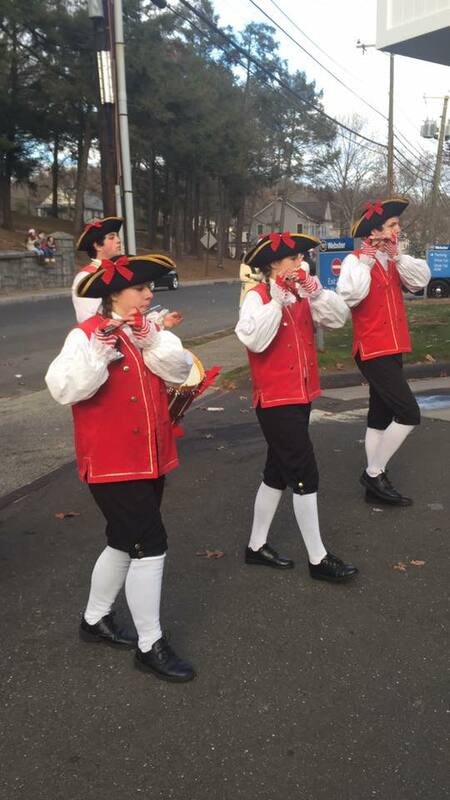 The Marlborough Jr Ancients meet every Tuesday night from 6:30 p.m. to 8:30 p.m. for lessons and marching practice at the Elmer Thienes-Mary Hall Elementary School in Marlborough Connecticut. Send us an email with questions, or stop by rehearsal and check us out!